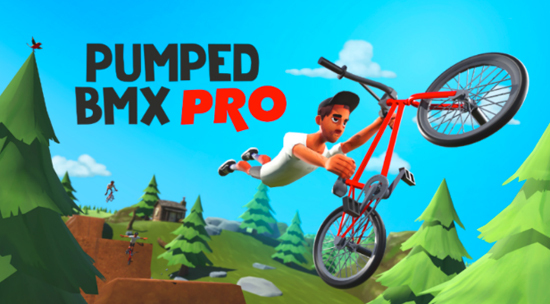 Pumped BMX Pro is the sequel to the hugely successful Pumped BMX +. The momentum-based BMX freestyler takes the action to the next level with a beautiful new look, a fresh new physics engine and more content than ever before! Choose from 15 riders with pre-designed bikes, or come up with your own in the easy to use bike creator. Once you’re ready to hit the tracks, get creative with more than 40 trick options and combo your way through over 60 insane levels, maintaining your flow to ensure you reach the next obstacle wheels first instead of face first. For the best riders out there, there are over 200 challenges to beat. Have you got what it takes to go pro? High score chasers can compete on the global leaderboards, to see if they can thrash at the same level as the best riders in the world! Pumped BMX Pro, which launches February 7th on Xbox One, PC and Nintendo Switch.